What is a Domain Domain Name? A domain name is the name identification that people type in to access your website. This address points to the server that your site is hosted on. Web hosting is the server that your website resides on. In most cases a "shared" hosting solution is suffice for personal and small business solutions. Shared hosting means your site is hosted on a server with other clients. You have your own private space on this server that only you have access to. 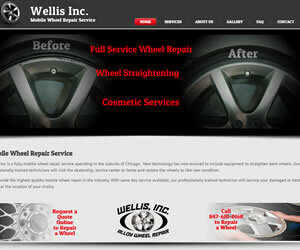 We would be happy to give you an estimate on redesigning an existing website. In some cases depending on the age and coding that was used on the website it actually can be more cost effective and beneficial to create a new site using current technology. What is a Conent Management System? ease-of-use and extensibility, have made Joomla the most popular Web site software available. Aaronetics requires a 50% deposit once an agreement is made for us to design your website. How Long Does it Take For Aaronetics to Design My Site? It depends on what you are looking for and the size of your site in addition to any current projects that we are working on. In general we can have a site completed in 2-4 weeks. What Do I Do to Get My Site Started With Aaronetics? There is a 4 step process from start to finish to get your site live. 1. Domain registration - If you don't already have a domain, we will search and find an available domain that matches, or is close as possible to the domain you want to use for your business. 2. Site design - Aaronetics will create your site based on the specifications you desire. Client will provide any images, verbage, logos, etc. that they want included in the design. We create the site on a demo server that you can access as we create the site. Typically we will hit certain points in the design process where we will want you to view the site to insure that it looks and behaves in the manner that you would like. 3. 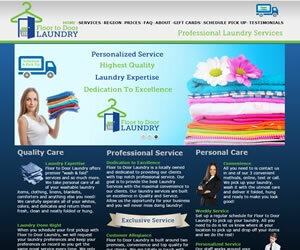 Once you approve the design, we then need to create a hosting account for your web site. Your domain will then be pointed to the hosting account and the finalized files uploaded to the hosting account. At this point your site is live! Can I Get Email with My Website? Aaronetics hosting accounts come with 100 email address and 100MB email storage. If using multiple emails you will likely need to increase your email storage. We also offer a number of email packages starting as low as .84 per month. For details on our email plans please click here. I Want to Offer Specials on My Site. How Do I Get This Done? Once your site is completed there are several options for updates. Aaronetics uses the Joomla Content Management System which allows you to easily make changes to your site without any programming experience. We will provide 1 hour of training and provide documentation on updating your site. If you prefer, Aaronetics can also update and maintain your site. We have 3 levels of service available for updates. For more details visit our pricing page. 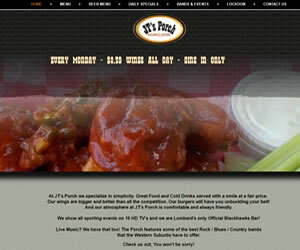 Click Click here to visit The Wheaton Biz List!